If you are not perfectly happy with the appearance of your smile, you’re not alone. Most people have things they would like to change. Unfortunately, if the issues with your teeth and gums are too severe, your options for treatment are limited. That is exactly why Delray Beach dental implants have become so popular. The can transform the appearance of a smile relatively quickly, easily, and inexpensively. It is a major dental procedure, but Delray Beach dental implants provide major benefits as well. New Look – Delray Beach dental implants look just like real teeth. That means if you have a gap in your smile or a damaged tooth, you can replace it with something that looks totally natural and completely healthy. Better Speech – Dentures and some other forms of tooth replacements can cause you to lisp or otherwise affect your speech. That is never a problem with Delray Beach dental implants. More Comfort – Once replacement teeth have been implanted, they feel just like a normal tooth in your mouth. 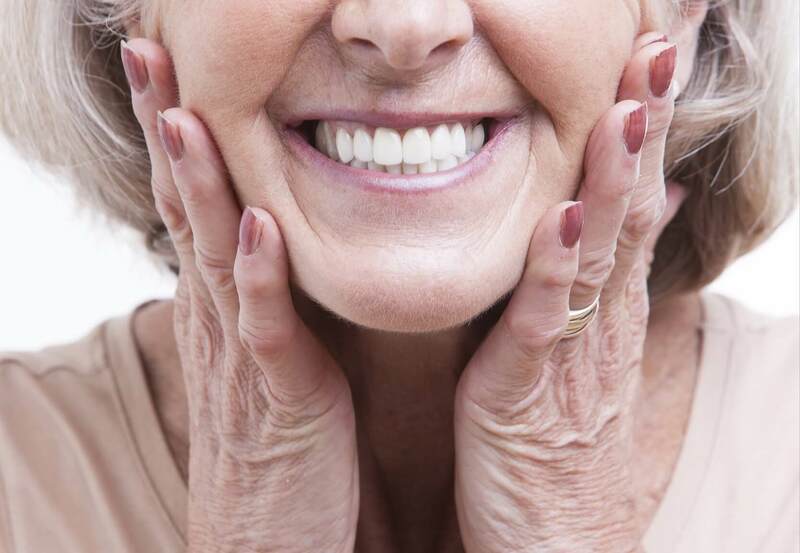 As a result, getting used to your Delray Beach dental implants is easy and immediate. Simple Eating – Wearing dentures can make eating a lot more confusing and complicated than you would like it to be. When you wear Delray Beach dental implants, you can eat whatever you want without worries. Higher Self Esteem – Your smile is one of the first things people notice. After you get Delray Beach dental implants installed, the embarrassment you felt before is replaced with confidence and pride in your appearance. Improved Health – Delray Beach dental implants are less invasive than alternatives like a tooth-supported bridge. As a result, the health of your remaining natural teeth is not put at greater risk. Reliable Durability – You will not have to worry about breaking Delray Beach dental implants. They are designed to withstand a lot of abuse, wear, and tear without showing any signs. If you would like to learn more about Delray Beach dental implants and explore if this is the right option for you, contact McCauley Dental (561) 272-8555.